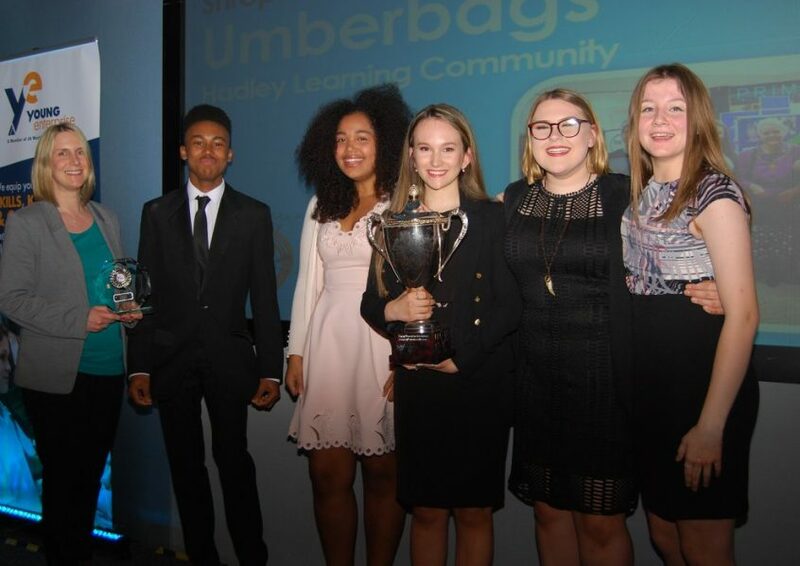 Umberbags swept the board at the Young Enterprise celebration awards event earlier this month. They won a total of 7 awards including “Best Live Presentation” and “Best Managing Director “– Fern Thomson. However, ultimately, the biggest success for Umberbags is winning the best overall Company in Shropshire. This is a first for any Young Enterprise Company in HLC and means that the team of five 14 year old Entrepreneurs go on represent Shropshire in the Regional Finals to be held on 13th June at West Midlands Safari Park. Young Enterprise is a programme available for students aged 14 to 19, and for this team of year 10 students to achieve so much success with their company is absolutely outstanding! We are so proud of them and ready to take on the Regional Finals!